Today, ARP’s product line contains of thousands of part numbers, and has expanded to include virtually every fastener found in an engine and driveline. These range from quality high performance OEM replacement parts to exotic specialty hardware for Formula 1, Indy Car, NASCAR and NHRA drag racing and marine applications. As a matter of fact, ARP’s customer list reads like a “who’s who” of motorsports around the world. In the past several years, virtually every major championship on the planet has been won with engines prepared by ARP customers. There are a number of important elements in the production of specialty fasteners, not the least of which are materials, design and manufacturing. As you read further into this catalogue, you will get a better idea of the extraordinary steps taken by ARP to produce the very finest products of their kind on the market today. The key to success in all areas is personnel. And here’s where ARP’s cadre of highly qualified and dedicated specialists shines brightly. 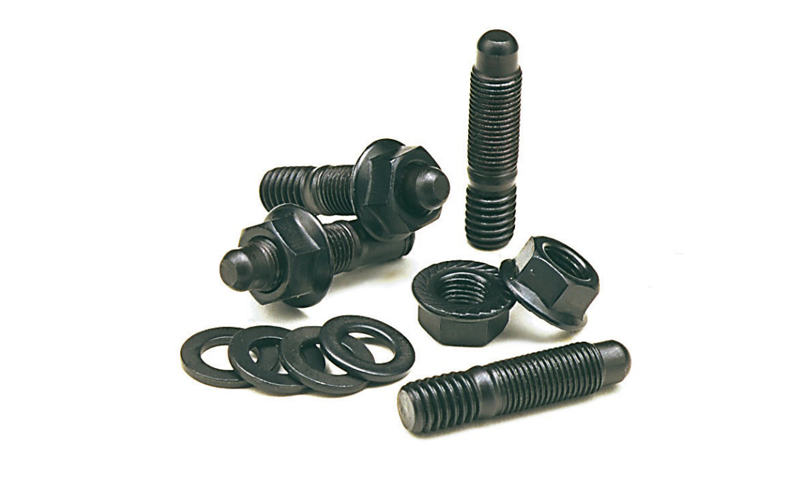 ARP supplies a wide range of Sport Compact bolts and studs. From replacing rod bolts to high end head stud kits. All kits come as a ready to install package.